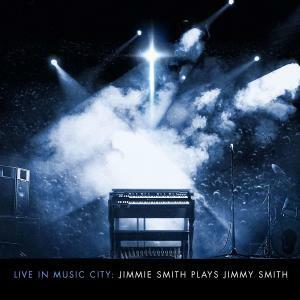 'Live in Music City: Jimmie Smith Plays Jimmy Smith' is scheduled for release on August 10th via Woodward Avenue Records. Gather ye for a tale of two Smiths. Rev. 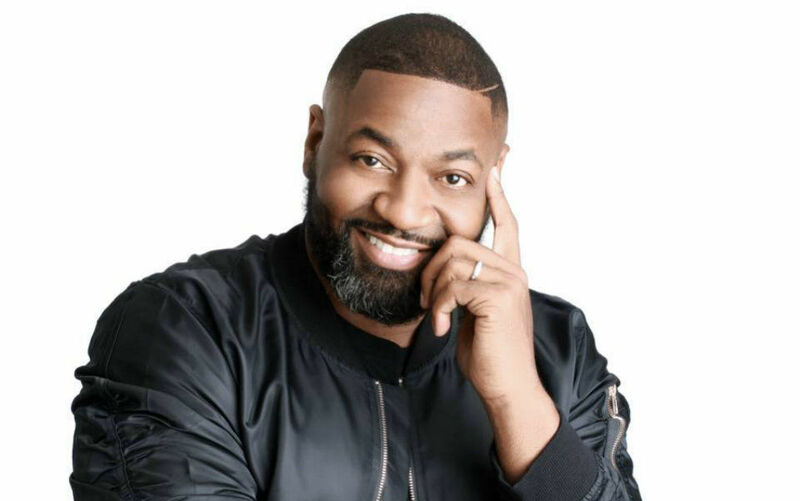 Jimmie Smith is co-founder and lead pastor at Effective Life Church in Conyers, Georgia. The late Jimmy Smith was a master of the Hammond B3 organ who changed the face of improvisational jazz by mixing it with soul and R&B. The B3, and an unadulterated love of music is what the two Smiths have in common. That and the soon to be released album, Live in Music City: Jimmie Smith Plays Jimmy Smith. We were fortunate enough to receive an advance copy from Grammy® nominated producer, mixer, and fellow B3 master, Bro Paul Brown. We’ve always had a love of that classic Hammond sound that has graced so many blues, soul, and rock n roll albums over the years, so we were anxious to give this a listen. Recorded live at The Rutledge in Nashville, Tennessee, it begins with a short introduction and blasts right into the “The Cat.” Beginning with a bit of a slow R&B vibe, this phenomenal instrumental builds into fiery, funk-laden groove that had us on our feet immediately. Smith’s lightning speed on the keys mixed with the lively guitar of James DaSilva, and punctuated by a 3-piece horn section made up of Chris West, Jon-Paul Frappier, and Chris Dunn, is the perfect opener. Behind it all is the home folk bass of Hamilton Hardin and tight-as-a-vice drumming of Marcus Finnie. Things get a bit more jazzy on “Get Yourself a College Girl.” Beautifully combining some of the tracks from the 1964 movie soundtrack it includes Jimmy’s “Comin’ Home Johnny.” Smith takes a supporting role behind DaSilva’s guitar and a great trumpet solo from Frappier. When he does kick in, he really lets loose. With barely time to breathe, the band launches into a 12-minute version of Jimmy’s “Midnight Special.” Sweet and danceable, it also showcases some incredible solos including a slamming piano piece from Bro Paul. On the next track, the Rev proves it’s not all about church cleverly blending Jimmy Smith’s “The Sermon,” into James Brown‘s “I Feel Good.” Another Hammond virtuoso, Jim Alfredson, joins in on this one. With a quick apology, Smith and company break into some true blues, covering the Muddy Waters popularized, “Mojo.” Smith’s vocals come across as the preacher he is, powerful and attention-grabbing. The speed at which Jimmie trips across the keys is a wonder. Next up is “I Really Love My Hammond.” Featuring vocals from Bishop Dr. Jeronn C. Williams, you know what they’re saying is true. Things get real funky on “Root Down.” Another Jimmy Smith classic, Rev Jimmie shares B3 solos with Bro Paul. We do honestly get taken to church on the nearly psychedelic “Oh, Happy Day,” and the soul-touching “God Can.” Dedicated to his father, and other loved ones he’s lost to cancer, Smith pours his soul into the latter. Live in Music City closes with the incredible “Drum Solo Broadway.” Clocking in at 16 minutes, the song begins, as one would expect, with a formidable 3-minute drum solo by Marcus Finnie, before breaking into “Funky Broadway.” If there’s a better way to close a live show than a jam like this, we don’t know it. 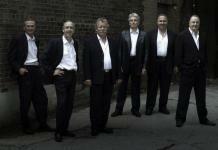 More guests appear on the closing track including Christian Matthew Cullen on piano. Rev. 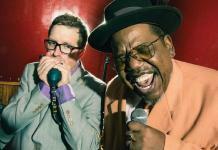 Jimmie Smith lives comfortably in the worlds of blues and gospel. As more artists are combining the two genres than ever before, Smith adds the classic Hammond B3 ensemble sound to the performance. From romping church-stompers to slick and funky soul, the good reverend not only pays tribute to Jimmy Smith, but to everyone who has ever played this classic instrument – and, of course, those of us who love it.